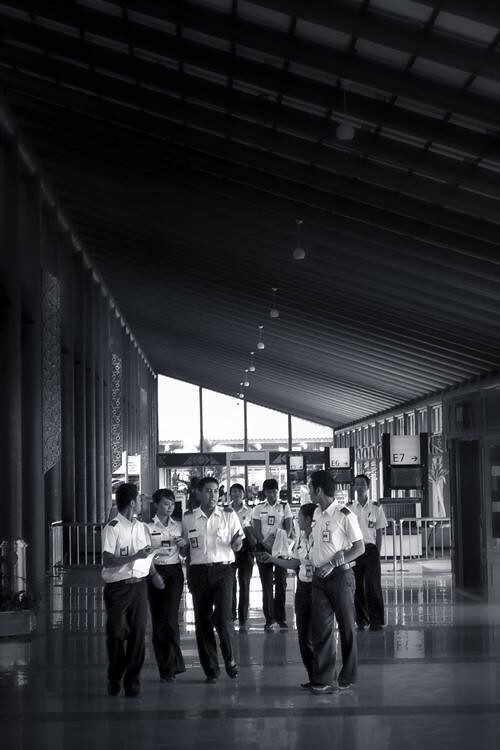 @ Soekarno-Hatta Jakarta Airport, Indonesia. A group of cadet officers in discussion.. Image published by JasonDGreat on 2008-10-13 02:37:37 and used under Creative Commons license.